Aida C | Home Studio, Inc. Corner sofa with a metal frame supported by intertwined elastic belts. 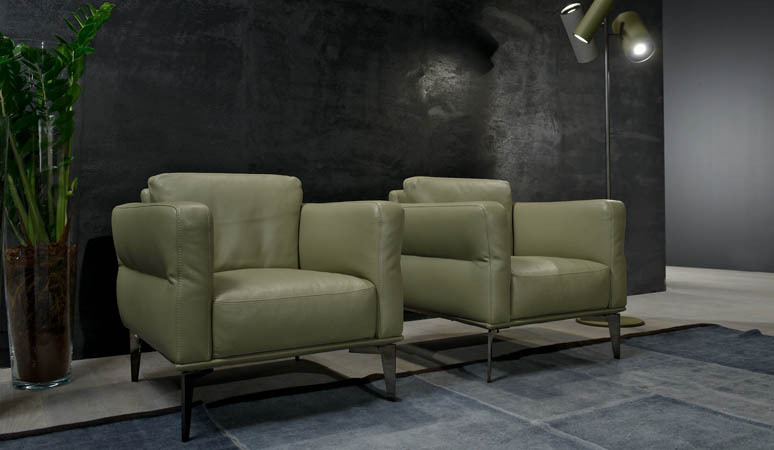 The adjustable metal armrests are covered with expanded polyurethane foam. The seat cushions are filled with expanded polyurethane foam. The back cushions are made of expanded polyurethane foam covered by a layer of sterilized anti-allergy goose feathers. The legs are available in standard or black chrome-plated metal.